Mobile search is a must today! 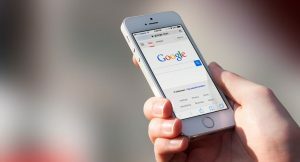 Mobile Search… the importance of a mobile friendly website! Recently this year Google decided that it was vitally important that every website be mobile friendly. If your site isn’t mobile friendly, then Google will not show it in a mobile search! So what you say? If you have seen the lack of the number of emails, phone calls or lack of customers you might have a website that isn’t mobile friendly! What are you to do? If you have an HTML site then you will need to build a mobile HTML site and place code in the header tags that tests to see what device is accessing your website. If it’s a mobile device like a mobile phone, tablet, or iPad you will have to redirect them to your mobile HTML site. Convert your website to a WordPress template that is mobile friendly. I resisted using WordPress for many years but I have now drank the Kool-Aid and went to the dark side, haha. But there are so many reasons now to use WordPress. I have converted most of my own personal websites over and almost all of my current clients. For my clients with an HTML website I did option 1 above for them. Do not underestimate where mobile search is going and to that end make sure you have a mobile responsive website or you will lose tons of possible clients. Mobile search and being mobile friendly is a must now!